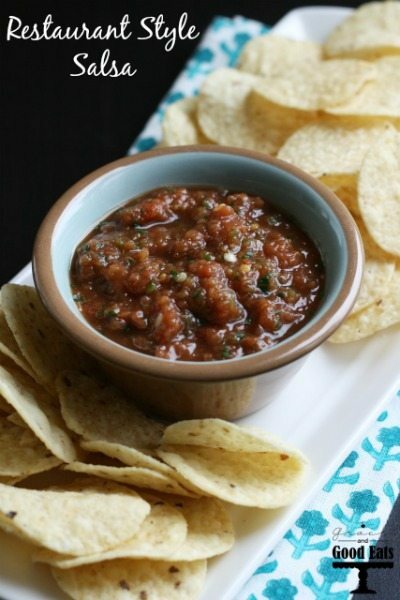 This Restaurant Style Salsa recipe is the best one I’ve ever made at home. Scoop it up with chips or use it to smother everything from eggs to enchiladas. Living in Texas we are lucky to have a lot of Mexican food, or Tex-Mex, restaurants to choose from. I’ve learned that you can immediately tell the caliber of a restaurant by their chips and salsa; I’m pretty sure I cut my teeth on chips and salsa as a baby. My top two favorites, Mia’s and Desperados, are a little ways from me in Dallas. They both have amazing salsa, but are very different from each other. If I need a quick fix we go to Mi Cocina, which is a chain, but really close to my house. They have delicious brisket quesadillas, but their salsa leaves a little to be desired. 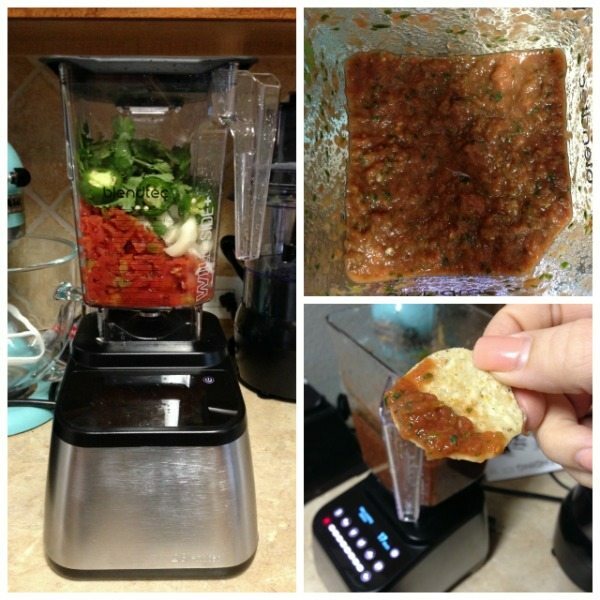 Rather than drive to Dallas every time I need a chips and salsa fix, I have found a recipe to make at home that takes no time at all in my Blendtec and is SO good. My kids even eat chips and salsa with their peanut butter and jellies. It’s pretty much a staple in our house. 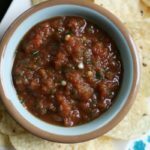 This Restaurant Style Salsa recipe is the best one I've ever made at home. Scoop it up with chips or use it to smother everything from eggs to enchiladas. Blend on the lowest speed for one minute. This post is sponsored on behalf of Blendtec. Yum! 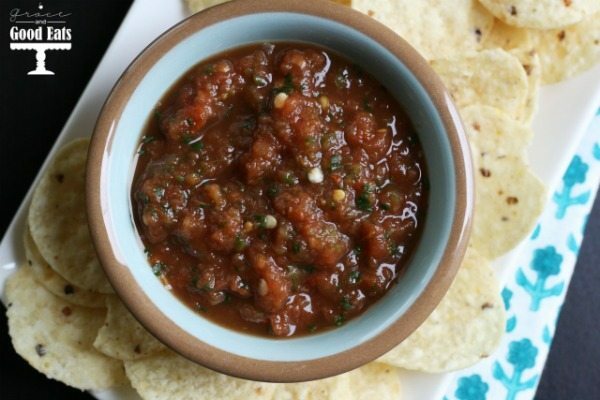 These margaritas and the salsa look really good! Thanks for sharing them at The Pin Junkie. They were featured at this week’s party!